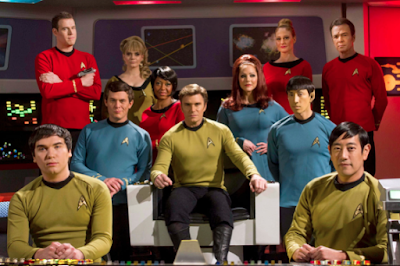 Last night I enjoyed yet another episode of the funderful Star Trek Continues. Today I learned that I only get two more episodes due to ... shocker ... thoughtless, greedy dickholes. Yay. Here's an interview with Vic (Kirk) Mignogna that explains the sad truth. Now, who needs 12 hours of sleep? The world is full of asshats.